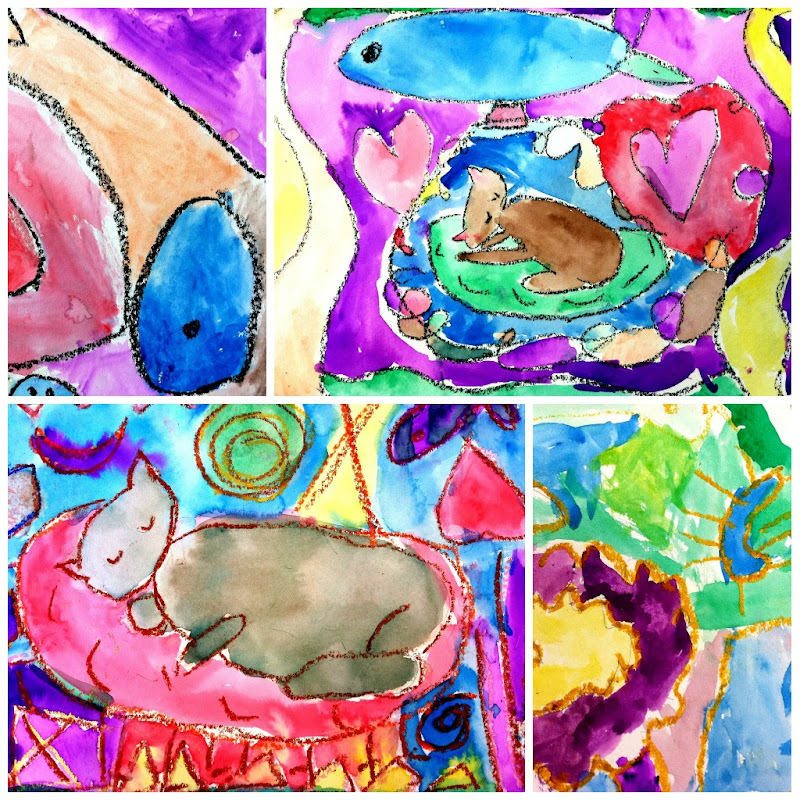 We studied the surreal art of Marc Chagall as we prepared to draw and paint our dreaming cats. The students used oil pastels to draw unexpected objects in surprising positions, and then added bright watercolors. Looks like cats dream about colorful happiness.